My review of Christianity and Religious Diversity: Clarifying Christian Commitments in a Globalizing Age by Harold Netland was first published in Philosophia Christi (17:1 [Summer 2015]), a peer-reviewed journal by the Evangelical Philosophical Society, and is offered here, with minor modifications, for a wider readership. I’m especially grateful to Dr. Craig J. Hazen for requesting I submit a review for journal readers. Craig is Director of the M.A. Program in Christian Apologetics, Director of the M.A. Program in Science and Religion, and Professor of Comparative Religion and Apologetics at Biola University. 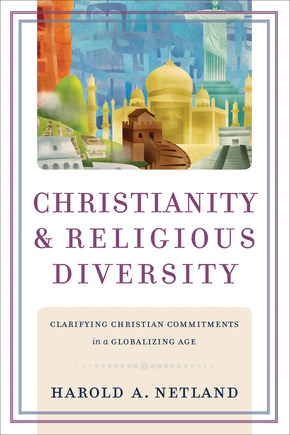 With the articulate, charitable style readers have come to appreciate from Harold Netland, Christianity & Religious Diversity is a historically informed and decidedly clear analysis of the world’s religious traditions. Whether embracing a full-on pluralism, agnosticism, atheism, or a committed exclusivism, all readers will appreciate Netland’s ability to show the value of thinking deeply and definitively about faith. Those already committed to Christianity will glean skills for listening confidently, reasoning vigorously, and speaking courageously in a religiously diverse world. After an Introduction that sets out the objective and defines the scope, the book is divided into two parts: 1) Religion(s) in a Modern, Globalizing World and 2) Christian Commitments in a Pluralistic World. Each part is evenly weighted with four chapters with an extensive bibliography, along with well-documented footnotes, to aid the reader in further research. A generous index is added for ease of reference. The first chapter lays out helpful taxonomies for understanding what is meant by “religion.” Rather than defining religion in theological terms, Netland focuses on the phenomenological side of religion concluding that a substantive as well as functional definition best serves to identify religious beliefs and practices. Through a historical lens he reveals that religion is not a modern construct. Netland acknowledges a measure of ambiguity around religious identities (e.g., Confucianism, Marxism, secular humanism, Scientology) and suggests it is “helpful to think of a continuum along which we have possible instances of religion” (p. 29). Most astutely, Netland insists that we cannot draw straight lines between religions, cultures, and worldviews so that, for example, a religion necessarily shares a specific worldview. His keen analysis of the relationship between religion, culture, and worldview is especially helpful. Chapter 2 addresses the phenomenon of change that occurs within religions as they intersect with the rigors of the Enlightenment and colonization. Continuing with the historical lens, Netland demonstrates an increased appeal of “pluralistic perspectives” with the rise of modernization and globalization (p. 42). With the advent of European and American colonialism and the crossing of geographic boundaries the modern missionary movement spawned a spread of Hinduism, Buddhism, and Islam, as well as a “hybridization of the traditions and the emergence of new religions movements” (p. 45). Ironically, an unbridled confidence in education and science during the Enlightenment yielded as much or more criticism and skepticism toward religion than it did reason in religion. Naturally this opened doors to secularization (a process) and secularism (a worldview) that effectively treated religions as “simply false…or at least that we can and should live as if they are false” (p. 55). After carefully canvassing theories on secularization, Netland convincingly shows that despite the weakening of moral and epistemic authority triggered by continued exposure to conflicting religions, coupled with the lust for all-things-empirical/material, there remains today a personal and social significance in religious belief across the globe. Chapter 3 zeroes in on the Buddhism of the West showing that what has been embraced is actually flawed. In large part this is due to the work of D. T. Suzuki (albeit sufficient space is devoted to the influence of the Theosophical Society). According to Buddhist critics, Suzuki’s Buddhism fails to represent accurately essential, historic Buddhist teachings, even the Zen tradition championed by Suzuki. Moreover, Suzuki’s claims are so far-reaching that they encapsulate “Eastern spirituality” as a whole, failing to take into account the diverse expressions and differences of Hinduism, Sikhism, Jainism, and Taoism (p. 99). The main point taken up by Netland, however, is not a polemic on Suzuki. Instead he illustrates how the “portrayal of a particular religion can be influenced by factors external to that tradition itself” (p. 97); so much so that the very nature of the tradition morphs beyond what members of that tradition might recognize. Most interesting is the maneuver by Suzuki of “playing off the East against the West” (p. 100) in an effort to counter sweeping negative generalizations the West had of Buddhism. Ironically, Suzuki himself becomes guilty of broad-brushing his version of Buddhism in a strategy labeled “reverse Orientalism” — a dialectic process whereby one side vilifies the other by highlighting differences so as to create antithesis. Consequently, Suzuki would “devote a considerable portion of prodigious energies tantalizing a legion of disenchanted Western intellectuals with the dream of an Oriental enlightenment” (quoting Robert H. Sharf). Thus “the attraction of Buddhism in the West is due in part to the skillful and effective use of such discourse to promote a profound and esoteric ‘Eastern spirituality’ as the antidote to ‘Western rationalism and materialism’” (p 101). The final chapter in Part 1 traces the theme of “Jesus in a Global, Postcolonial World” (the chapter’s title) utilizing the writings of five prominent religious leaders from the nineteenth- and twentieth-century: Vivekananda, Sarvepalli Radhakrishnan, Mohandas Gandhi, John Hick, and Shusaku Endo, all of whom had similar perspectives on Jesus as a great moral and religious teacher. The allure of full-on religious pluralism begins to emerge as each leader embraces some form of the pluralist formula, viz., all the world’s religions are historically and culturally conditioned responses to some amorphous Real. Netland shows the inconsistencies and patronizing attempts at constructing a human Jesus who is to be admired among others but fails to capture the uniqueness and centrality of Jesus as truly God and truly Man. Chapter 5 begins Part 2 and addresses head-on the question “Can All Religions Be True?” The proposal of John Hick’s religious pluralism is analyzed showing that it cannot withstand careful scrutiny. By its own admission, one religion, whether theistic or atheistic, cannot be privileged above another yet the underlying appeal is to some form of “ontological religious realism” (p. 143). This necessarily excludes naturalism and makes Hick’s pluralism merely a very generous theism. Hick’s maneuver was to reduce conflict between the great religious traditions and deem their central teachings unimportant while radically reinterpreting them. Truth in religious pluralism becomes some kind of existential usefulness, resulting in a functional rather than a propositional view of truth. Netland ably illustrates the problems with proposing mythological meaning behind central beliefs, ineffability, religious ambiguity, religious experience, and moral transformation, all typically found in the pluralist’s arsenal, and he rightly concludes that incoherence results. Chapter 6 moves into the space of Christianity as the one true religion. He is keen to point out that when speaking of Christianity one must distinguish between its empirical expression laced with “all of its social and cultural accouterments” (p. 166) on the one hand, and its gospel message on the other. This chapter is strategic for “clarifying what is involved and what is not involved” in claiming that Christianity is the true religion (p. 167). Common objections to the claims of absolutism and superiority are given careful responses. One objection is the supposed link between religion and violence. Netland shows that consequences are not causes and the burden is on the objector to establish a direct causal link between religion and violence that is not also tied to other variables such as culture, society, ethnicity, economics, politics, et al. Moreover affirming truth in other religions does not commit one to abandon absolutism. After all “similarities with other religious traditions are perhaps most apparent in basic moral principles” (p. 180). Similarly, to affirm the central teachings of Christianity is not to affirm everything taught by the institutional Christian church nor does a commitment to the absolute claims of Christendom involve a withdraw from pursuing the common moral good of all in cooperation with non-Christian religions (p. 181). Finally, the scope and extent of the salvation offered in Christianity is a separate matter from the commitment to the gospel message. Put differently, one could be a soteriological universalist while still committed to the exclusivity of Christianity as the only true religion. With these caveats in place, Netland finishes this chapter strong by identifying what it means for a religion to be “true” (pp. 182-195). He rightly shows that propositional truth applies to religious claims rather than to religion traditions. While core claims do not stand alone apart from other claims so that, for example, moral precepts are to be ignored, he insists the varied dimensions and implications of a tradition must be kept distinct from the central claims of the tradition for the purposes of assessing its truth value. This of course assumes there are core beliefs and, although the Church continues to disagree over what counts as core and what counts as peripheral, this is not to say Christians cannot define some of the core beliefs and keep them distinct from their entailments. The final section of this chapter provides guidance for defining “defining beliefs” of Christianity and I found this especially helpful. He suggests 2 Corinthians 5:19 offers a paradigm for Christian belief, since a) Jesus is central, b) God as Creator is presupposed, c) a riff exists between Creator and creature, and c) a solution has been provided. He concludes with a defense of the person of Jesus as Son of God and God the Son, fully human, fully divine. Chapter 7 is an excellent treatment of why, when faced with the diversity of religions, one may have sufficient reasons for accepting Christianity as true. It’s a concise yet thorough introduction to the epistemology of religion. The section explaining Alvin Plantinga’s highly valued and well-known contributions, along with Netland’s own assessments, is one of the best treatments I have found (pp. 202-212). The chapter in its entirety could well serve as required reading for any introduction to Christian apologetics. In addition, he highlights the noted work of William P. Alston showing that appeal to religious experience, though tautologous, is not irrational. With remarks on “Basinger’s Rule” and a carefully nuanced statement on what is meant by “objective criteria” (p. 216), Netland aligns with Paul Griffiths’s insistence that there is a moral and epistemic obligation to have reasons for belief (though Griffiths applies the obligation to intellectual leaders of a religious community). Also included are sections on religious ambiguity and natural theology. Since the notion of ambiguity in the world’s religions is assumed, suspicion that one religion is true over another is natural and the default position of many is skepticism. However, Netland notes this is no different than other disciplines that entertain a great deal of conflict yet do not ignore debate. Instead disciplines take up challenges and draw conclusions on the superiority of one belief over another. He wisely states, “The issue, then, is not whether we can present arguments for the Christian faith that will convince every reasonable person but whether there are stronger reasons for accepting the claims of Christian theism than those of alternative perspectives” (p. 220). What Plantinga’s epistemology lacks, natural theology supplies, viz., reasons for belief. Yet Netland is quick to show the limitations of deductive and inductive arguments and especially the challenge that religious diversity brings to natural theology. After surveying a variety of apologetic approaches, he concludes with preferring Basil Mitchell’s cumulative case argument coupled with C. Stephan Evans’s “natural signs” that together provide a “comprehensive cumulative case argument for Christian theism” (p. 228). The final chapter is a courageous attempt at providing principles for discussion around what it means to be disciples of Jesus and good citizens in a religiously diverse and increasingly pluralistic world. After a penetrating introduction, he begins by annotating the dual responsibilities of Christians to obey God and the “legitimate obligations to non-Christian civil authorities” (p. 232). Netland is clear that “witness and evangelism are not optional for the Christian church” (p. 234) and that merely “transmitting” the gospel is not the fulfillment of the Great Commission (Matthew 28:18-20). Making disciples necessarily involves the conversion of adherents to different religions and Netland highlights themes from two recent sources (Christian Witness in a Multi-Religious World and The Cape Town Commitment), both of which serve to guide the task of evangelism today. In a section that calls for renewed interest and commitment to apologetics, Netland makes a curious statement: “The obligation to provide reasons for belief does not fall equally on every believer” (p. 243). Yet this does not get some off the evangelistic hook. Where believers are confronted with competing religious claims and who do not hold specialized knowledge in certain areas (say Buddhists beliefs), an obligation remains to consult with others who do. He provides a sound case for the importance of interreligious apologetics arguing for such principles as fair treatment of other perspectives, a willing acknowledgment of what is true and good in competing claims, cultural sensitivity to what it means to persuade others, and caution to avoid “symbolic power,” all while pointing out what is false (pp. 247-248). Christianity & Religious Diversity is gift to everyone. It is an outstanding treatment of how to think about and live in a religiously diverse world; and do it with knowledge and with grace. Those unfamiliar with the world’s religions may find its breadth and depth staggering, but the effort in carefully and thoughtfully reading it through will greatly aid readers in navigating the thorny issues of competing religious claims. Netland’s promptings to hold tightly to a robust Christian orthodoxy is evident throughout, while respecting the complexities of alternative beliefs with clarity, charity, and objectivity. This book brings three words to mind: Effective. Essential. Extraordinary.